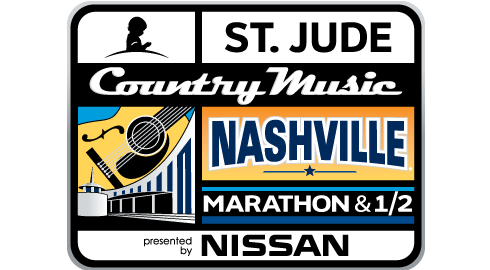 Have you registered for the St. Jude Country Music Marathon and 1/2 in Nashville?!? Are you planning on it?? If you are, better do it quick and beat the price increase! Registration fees will go up after January 31st. 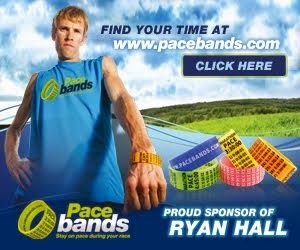 I'm really excited to run my first Rock n' Roll Series event and can't wait for all of my running friends to join me! 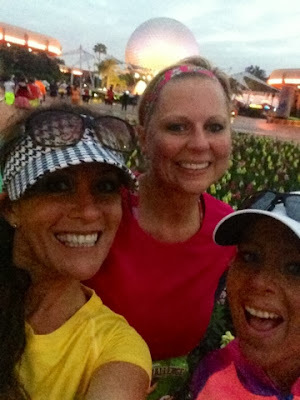 Use Code BAMAGIRLRUNS for even more savings and save $10 off of the current registration price! What a super exciting day for me! 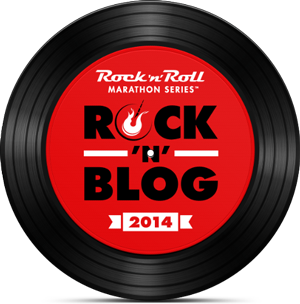 I'm a featured Rock n' Blog Ambassador for the Country Music Marathon in Nashville! I was totally honored that they chose ME to participate in this fun Blogging experience! Ever wonder who’s standing next to you in your corral at the start line, or cheering you on when you’re about to give up during a race? 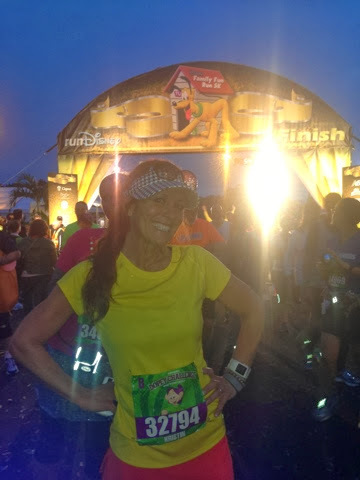 We’ll be featuring guest bloggers that have a passion for Rock ‘n’ Roll and inspire us by their dedication and commitment to the sport of running. You may recognize their faces, but the purpose of these posts is to put a face behind the name to better understand their journey to self-discovery. 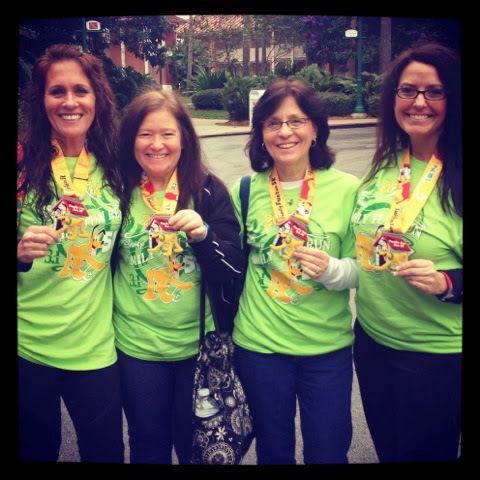 Today’s post comes to us from Rock ‘n’ Blog member Kristin, author of Bama Girl Runs. 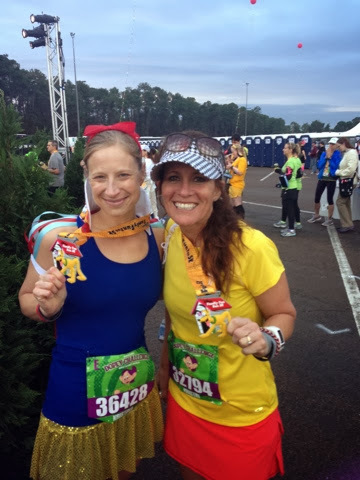 Born and raised in Alabama, this mother of three is a diehard fan of running and the skirts that come with it! I was inspired to start running by my sister. She had just done her first 5k and the pictures looked like a ton of fun from her race and I knew that I wanted to try it. My kids were also all about to be in school and this stay-at-home mom needed something to cure the blues of her babies all being out of the house! Running has become a “normal” part of my family’s life. I put my training and races on the calendar just like I put my children’s ballgames on the calendar. No one questions it or views it an inconvenience to them. It’s what I do. I like that my hobby is setting a good example and I can involve my family as well. Everyone in my town knows me as a “runner” and I’m totally down with that! 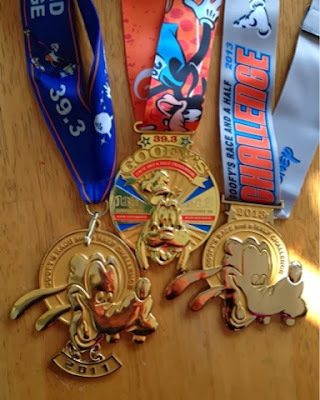 The Rock n’ Roll Marathon Series has definitely played a role in my life. I have been really excited to train for the 2014 Country Music Marathon race and I think it’s really important to get excited about things that are priority in your life. I am excited to run CMM because I absolutely LOVE the city and people of Nashville. Yeehaw! Country Music is my fave!! I also really enjoy running in cities that I love. It gives me a new appreciation for the city being able to see the city from a runner’s view. I would encourage others to run CMM because it’s going to be a really FUN race and that is so important when it comes to running. Not only do you need to train hard and take care of yourself but you need to keep the element of fun in your running. CMM is just the race to do that! There are different distance options available, fantastic expo and great post race party! Not to mention the bling isn’t so bad either. – Half Marathons are her favorite distance, but she has completed 5 Full Marathons and CMM will be her 6th. – Number one item on her bucketlist; be a contestant on the show “Survivor”. Meet more of our Rock ‘n’ Blog Ambassadors on our Rock Blog! 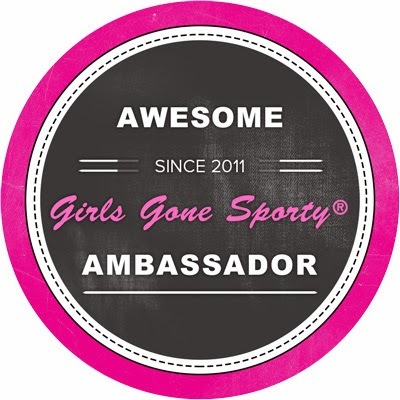 Use Code BAMAGIRLRUNS for $10 off of registration here. Hurry!! The next price increase is Feb 1st! Disclaimer: I received a complimentary race entry in exchange for my posts via blog, social media etc. Travel and accommodations are not included. All opinions are my own. I was cruising through Pinterest this weekend and ran across this little jewel. WOW. So true. There's SO much competition out there. All kinds. All levels. In all phases of life. It seems like everyone else has got it going ON. But do they REALLY??? At the end of the day, or should I say "at the end of MY day"... I like this quote. It brings it all home for me. "Look in the Mirror. 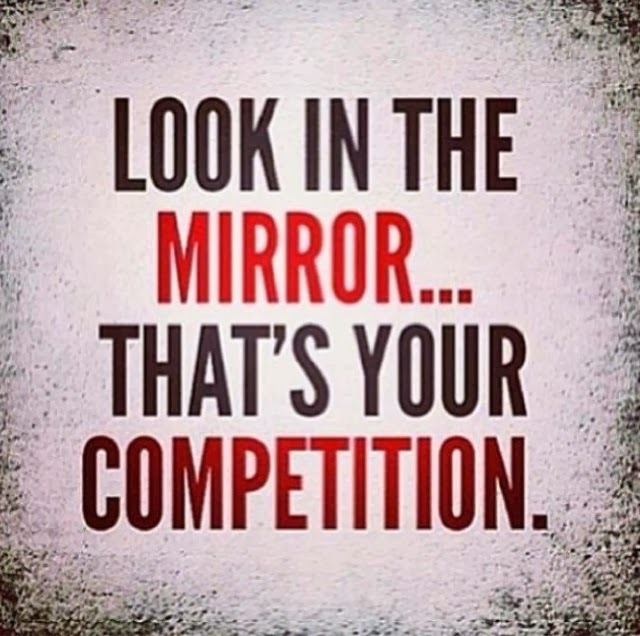 That's your Competition." So there you have it.....Happy Monday and Happy Running! Okay. I will admit it. 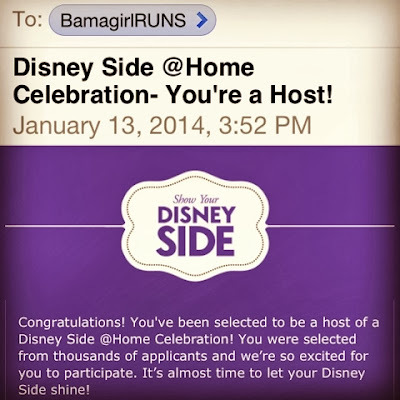 When I first saw the notifications to apply to be a Host of a Disney Side @Home Celebration, I knew that it was something that I would apply for but NEVER thought I would be accepted and certainly had NO idea of what it was!!! So needless to say, when I received the email saying that I was chosen out of thousands who had applied, I was beyond excited. Anything that has to do with Disney and Party.... Oh yeah, I'm loving it already. What IS your Disney Side?? "Everyone has a Disney Side- that fun-loving adventurous spirit that comes out to play when you’re feeling the Disney magic! 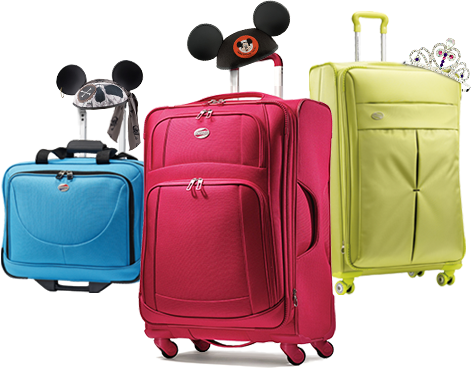 Whether you show your Disney Side through fashion, food, or your favorite characters, or frequent visits to Disney Parks, it’s time to let it shine. 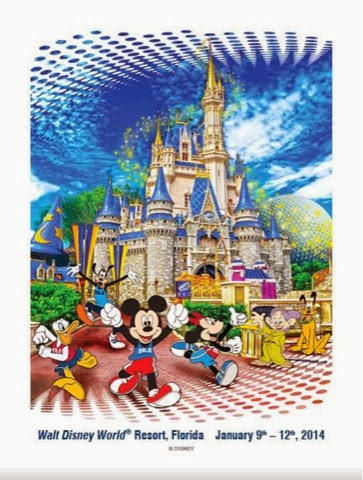 Gather your fellow Disney fans, grab your Mickey ears and prepare to sprinkle some pixie dust on those who cross your path as you let your Disney Side take over!" 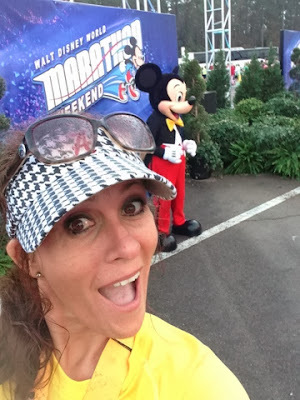 I later found out that the Disney PR team and Leanne Jakubowski along with the one and only Maria Bailey, of Mom Talk Radio were the master party planners. SO Cool. I'm a total fangirl of Maria's and ANYTHING Disney, so without a doubt this is going to be just FABULOUS. 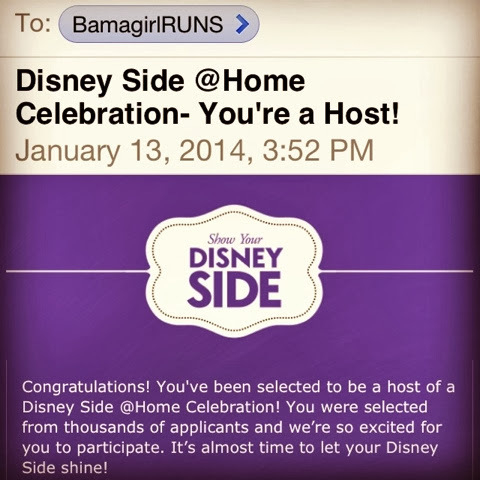 Available to be a host of a Disney Side @Home Celebration between February 15th and March 1st, 2014. Host a gathering and invite friends to attend. Share your experience online via Facebook, Twitter, Pinterest, Instagram, your personal blog, and any other available social media channels. Participate in a short online survey after hosting your party, and share links to your social media posts. The BEST part about this entire experience?!? I really do get to have my OWN Disney Side party, however I see fit to have it!! Oh the ideas are just swirling in my brain. I'm pretty sure that I've narrowed it down to one or two things and now I just need to figure out how to tie it all in together. Stay tuned for this....it's going to be crazy fun!! The excitement has been building. The anticipation is out of control. Maria has been posting teaser pics of boxes and boxes and boxes inside of U-Hauls FULL of party planning kits. She is sending them out in waves....Oh please let mine just get here already!!! Monday, I was working from home and guess who drives up?!? Yep. 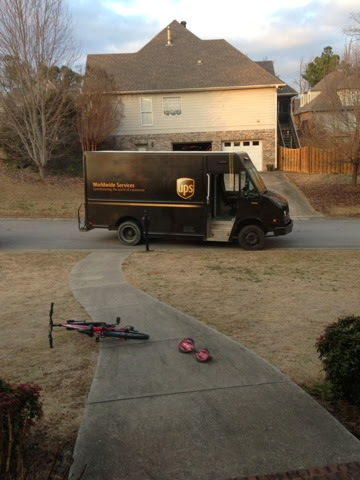 The UPS man. I almost knocked him out with the front door to see what he was bringing me. No Disney Side kit. ugh. Tuesday, Wednesday, Thursday....I'm out of town for work. OMG. I'm not home to check UPS deliveries. I'm seeing on Facebook, Twitter, Blogs....."We got our kits! They are spectacular! There are suitcases inside!" I. CAN'T. TAKE. IT. Hubby calls me to tell me, "Hey Baby, You got a package in the mail from Disney". WHAAAAATTTTT???!!!? I'm ready to fly home right now to see what it is. I'm saying, "Describe the box. How big is it? Does it say Disney Side?" He says in his calmest voice. "No. This is small. You could fit it into one of the kids lunchboxes. I think it's another one of those Disney Magic Bracelet boxes that you keep getting." LOL. Now that made me laugh. Poor fella. He's just kinda clueless sometimes. That's alright. he plays along with my shenanigans. So okay. I'm heading home tomorrow and am hoping that my Disney Side @Home Celebration Kit will be waiting at my doorstep. 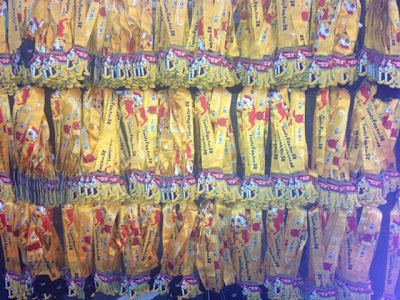 Unopened. If my kids get their hands on it...Oh good grief. I can't even think about it!! 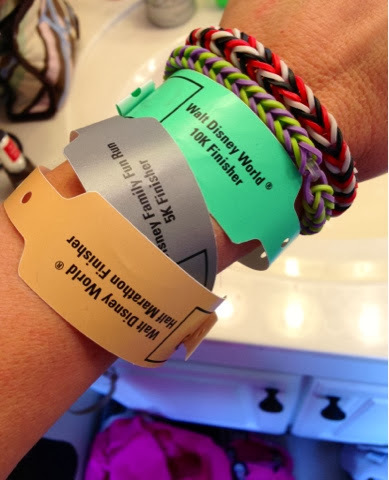 I'll be posting on Facebook, Twitter, Instagram, Pinterest and of course here on my blog all of the fun and exciting adventures of my DisneySide Party using the hashtag, #DisneySide!! For now, A BIG Thank you to the sponsors that are shipping my kit. I love you all dearly and cannot wait to be a part of this exciting campaign and receive my Disney Side @Home Celebration goodies!! All of the training and hard work for Dopey Challenge was about to pay off as I began my first leg of the Race. 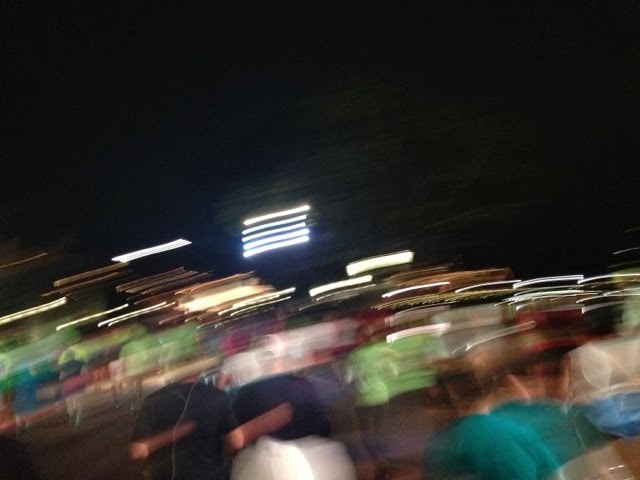 First up, Disney Family Fun Run 5k. 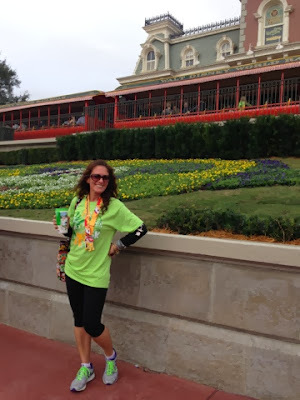 Now I knew going in to this race that I loved the Disney 5k's, fun non-timed prep race for the "big races". However, this year was a bit different. 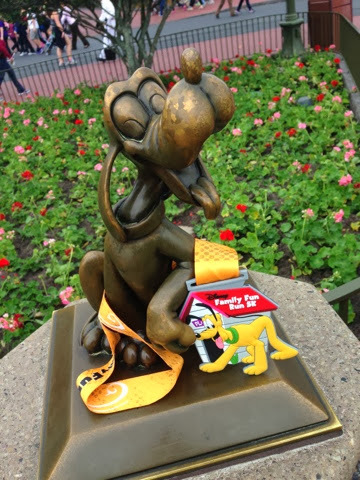 Those runners who were registered for the Dopey Challenge WERE timed. Oh my! I love playing around ALOT during the 5k's. 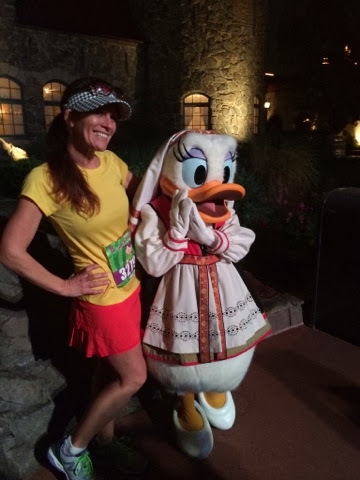 There are usually GREAT photo opps and characters along the way so that I don't feel so much pressure during the half marathons to stop for every single character. Uh oh. New strategy. 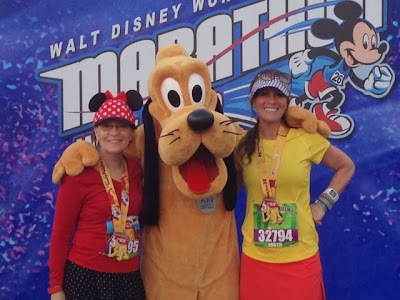 So this was my plan: Run really hard between photo opps, stop for those "must-see" characters, realize that I've got four days of running ahead of me, don't panic ever and finish within the time constraint. Okay. I've got this! I wake up really early, like 3am early, head to my shuttle and arrive at the Start Line super early. I was anxious. I was excited. I was ready. I have my Mom (who was running the 5 and 10K this year), two of my friends Leigh and Dellain (who were also running all four races), and was meeting up with two of my pals, Carrie and Mary Jo (who were also running all four races). This was about to be a good time and I knew it. Again, I have been training for 6 months and I was excited!! Up Bright and Early with Dellain, Leigh and GrandMary! I stop in front of the Start Line for a quick pic only to find Darrell from runDisney there goofing off and ready for a photobomb opp. Love this guy! Even though the runDisney crew are super busy and working hard, they still make time to chat with the runners and I really appreciate that. Found DFreezy at the Start Line! I found my girls, Carrie, Mary Jo and Lori too! She was running the Dopey Challenge also and with so many people at the races, it's really fun to meet up with all of my friends! 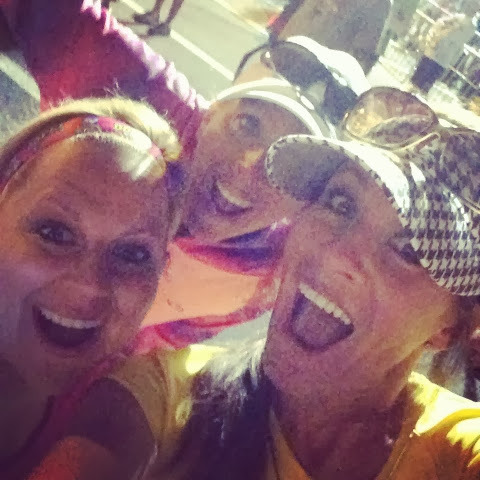 Can not say enough how much I loved hanging out with these girls for all four races! she would later finish her first Marathon this weekend. Way to go Jillian! So after taking pics and chatting with friends, I'm off to my corral. I started in Corral B for this race so I only had to wait a few minutes after the official start of the race. Not bad. I will be in Corral B for the 10K as well. Same drill. 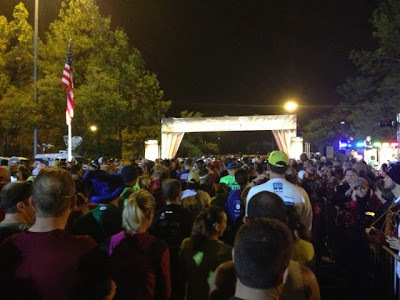 The Start line totally gets me pumped up every time. The National Anthem is sung, the music is playing and the announcers are getting the crowd going. I love this feeling! Start Line of the Disney Fun Run 5K! ....And we're off! Here we GOOOOOO! After we took off, we ran through the parking lot, and behind the scenes of Epcot and into the World Showcase. View the course maps here. As we entered into Epcot, I saw Daisy Duck on the side and oh my! She's wearing a Norwegian costume. Must stop for this pic! WOW! I've never seen Daisy in her Norwegian costume! I like to call her "Norway Daisy Duck"! There were a few more character opps along the way that I did not stop for. One being Dopey in Germany. I really really really wanted to stop for this pic but the line was SO long. After the race, I heard folks saying that they stood there for at least 20-30 minutes for the pic. I'm so glad that I made the decision not to stop. Sorry Dopey. I love you but I also love the thought of your medal at the end of this challenge. If I would have stopped for that pic, I would not have been able to stop for any others and would have really been pushing the time limits. Not happening. Fingers crossed that I will find that little dwarf somewhere else during the four races. Surely that will happen. Surely. I made the decision to keep going. Glad I did. We found these guys hanging out in France with about a 2-3 minute wait. I think the entire race was behind us in Germany with Dopey. I'll take it! Had to stop in France for a photo opp with these guys! It's finally starting to get a little more daylight out. The night pics don't turn out that great with my iphone and I didn't bring my better camera for this race. I'm holding out for the Half and the Full with that! I'll need back up for my phone battery as well....We're almost done! Time for a Selfie! Yahhhhooooo! Made it to the Finish Line! 3.1 of 48.6 Miles are DONE! That wasn't so bad...time for post-race pics, parks and FOOD! Woah. That's alot of Bling! Disney Fun Run 5K Finishers! 3.1 Miles..DONE! Found my pal Dave at the Finish! In a Chipmunk Sandwich...love these guys! 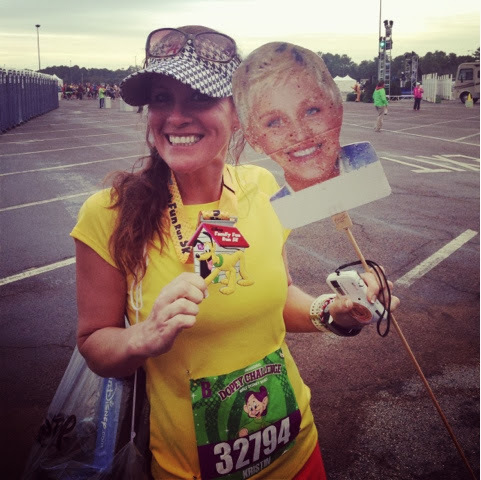 I'm pretty sure that Ellen reads my blog, right?!? Lol. Yay for meeting new friends! 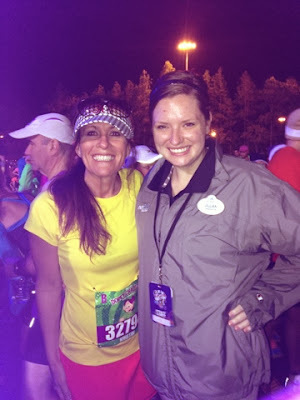 Ran into Kristina after all four races!!! I'm a total fan of the Disney 5Ks! Warning: Crazy People at the Finish Line. 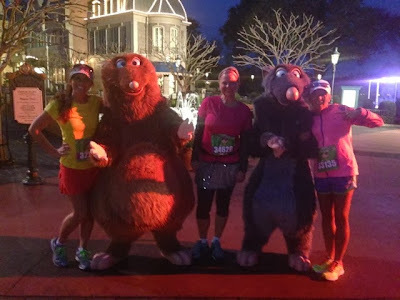 Some of my favorite pictures from any Disney race (this one is no different), are the pictures in the parking lot after the race. 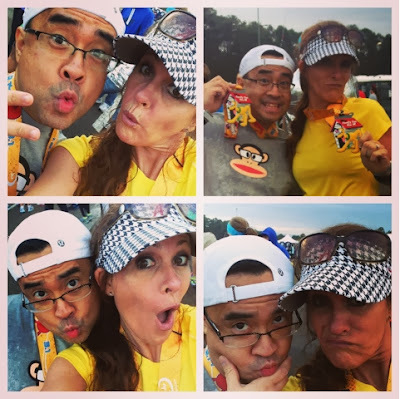 Even though I've done race retreat before and I love it for what it is, it's really alot of fun goofing off with my friends and taking zillions of pics with our medals on. And heck, the character photo opps are great too! "Yeah, we're gonna run around all four parks, drink alot of water, collect alot of medals (or dog tags as you like to call them), and chase after a little dwarf. Is this something that you would find interesting?" He shook his tail and acted like it was a good idea. My Mom, Pluto and Me after the race! 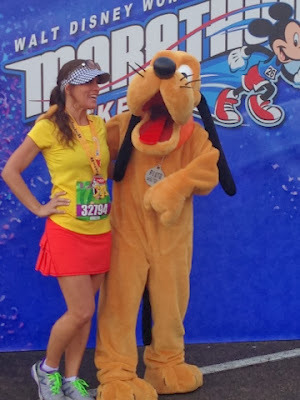 We had such a fun morning at the Disney Family Fun Run 5K. I'm off to grab a quick shower, cup of coffee and will be ready to hit the Magic Kingdom all before 10am. Now THAT, my friends, is a magical day. Ready to go play in the parks with my girls! Yep. It's gonna be a good day in the Magic Kingdom! Be Our Guest Restaurant for lunch. My view...SO glad it's sunny and beautiful out and NOT snowing! Post race soup and sandwich at Be Our Guest Restaurant...Eating like a BEAST all weekend! Thanks for a great race, Pluto! This morning was a super sad morning for me. It's been one week and a day since I ran the Dopey Challenge and the finishers bracelets had to come off. My husband said that I was starting to look like a deranged hospital patient. I'm starting to think he's right. 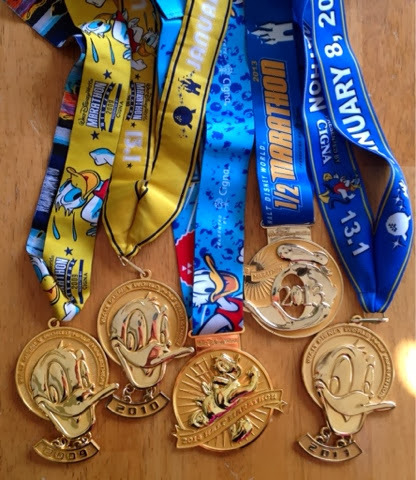 I've got three halves in February, a 5k in March and a Full marathon scheduled for April. 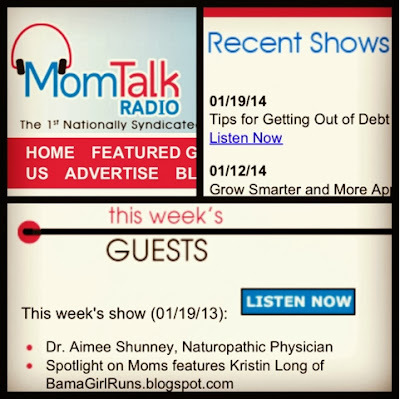 I'm a Spotlight Guest on the Show! Thank you again to Maria Bailey for having me on! For more information on Country Music Marathon in Nashville, Tn. registration click here. #MotivationMonday Walt Disney World, Here I Come!! I've been a BUSY girl packing up and handling all of the last minute details that I need to handle before I head to Walt Disney World to run 48.6 of the most magical miles on Earth!!! Eek! Did I just say that?!? Taking care of the kids and making sure the hubby will be okay for a week...now that's a need for whole different blog site. LOL. I'm ready. I'm trained. And I'm excited!!! I love everything about the races, the friends and most of all..the Parks!!! I can't wait to play, eat, and run down Main Street USA!!! Yipppeeeee!!! The cute pic above is one of the art cards available in my virtual goody bag from Lasting Commemorative. Love goodies like this! Adorable. I've gotta finish getting everything wrapped up! Happy Running and see you at the Castle! runDisney and New Balance: The Happiest Shoes on Earth! 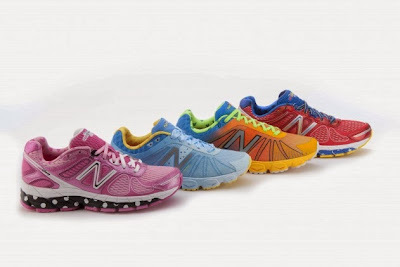 I really didn't think that runDisney and New Balance could top these shoes..... until they announced the new 2014 Models!! OH. MY. GOODNESS. The details! The characters! The colors! I'm in love!!!! 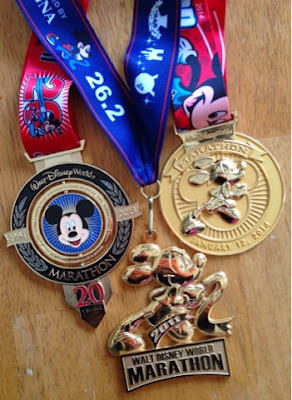 It broke my heart last year when I ran the Marathon because I wore all of the classic Mickey and Minnie colors. For 26.2 miles I had to watch runners run past me with those magical kicks on. Broken Heart, boring shoes on my feet and major Minnie Mouse shoe envy I tell ya. However, I did tell every single runner as they passed me, "cute shoes" and I meant it but I cannot let these slip by me again!! So here they are!! Aren't they BEAUTIFUL???? Meet the new 2014 family. 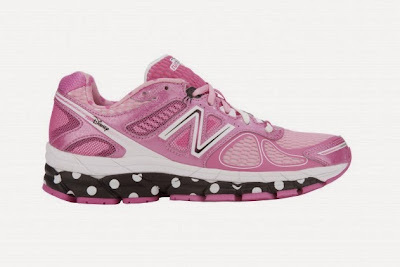 I have just laid my eyes on the utlimate running shoe Ohana. Running shoe OHHHHHANNNNA!!!!! Yeah!! There's a new 2014 Limited Edition runDisney New Balance family of shoes! I just can't quit looking at them! Each shoe has a different character featured on them, so many fun and cute details! Classic Disney. All about the details. I love everything about it. 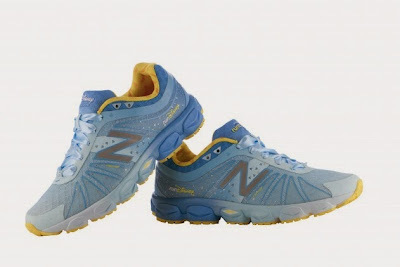 They are not too badly priced either....not more than I would pay for running shoes elsewhere. 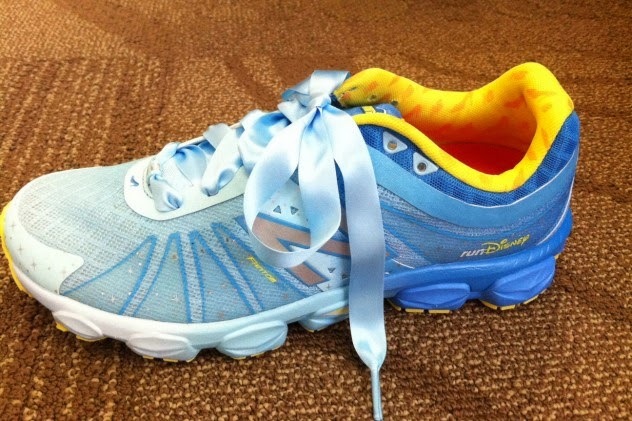 These shoes are for Men, Women AND Kids...pretty much just like runDisney events! There's something for all ages. A distance for all runners. With shoes like these...Every Mile IS Magic! "Happy New Year! 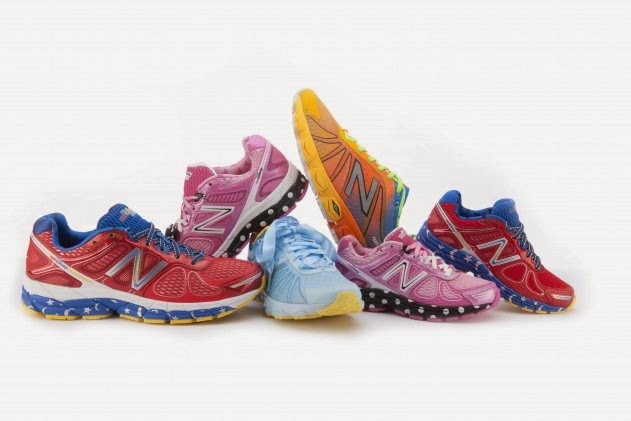 What better way to kick off 2014 than to reveal the “new” limited edition New Balance runDisney running shoes and to announce they will be available to guests for the first time at next week’s Walt Disney World Marathon Weekend presented by Cigna Expo. Over the past two months we shared details about the 860 V4 featuring Sorcerer Mickey and Pink Minnie, including exciting news that this model shoe will also be available in kids sizes. 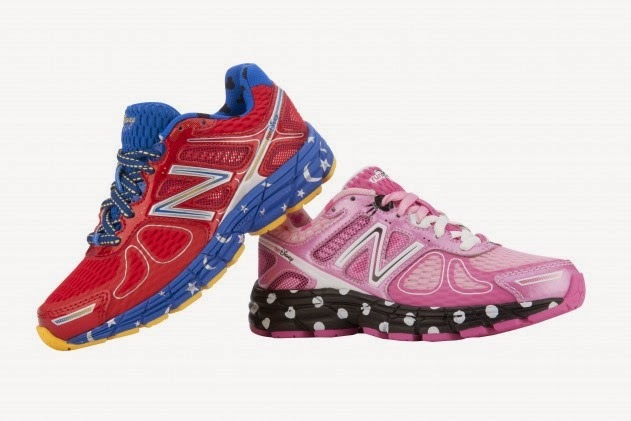 We introduced the faster looking 890 V4 to the New Balance runDisney family featuring Goofy and Cinderella. 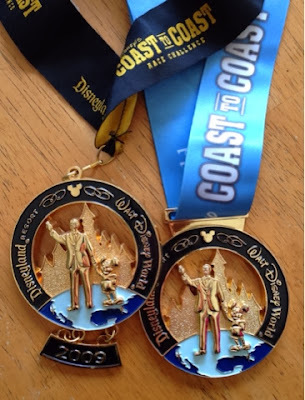 And we showed you new kits with race specific shoe liners and shoelace charms that you can purchase to personalize your runDisney race experience. Well, now is your chance to see these amazing shoes for yourself. The accompanying video will give you a detailed look at each shoe and help you decide how you want to show your Disney Side at your next runDisney event. 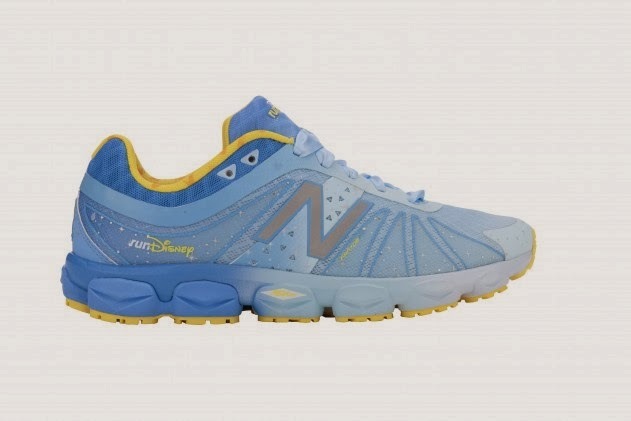 These 2014 New Balance runDisney shoes will only be available at runDisney Health and Fitness Expos starting with next week’s Walt Disney World Marathon Weekend, January 8 – 11. Based on the success of the 2013 shoes and excitement building for the new 2014 shoes, we anticipate a big demand and special arrangements are being put in place to assist guests. 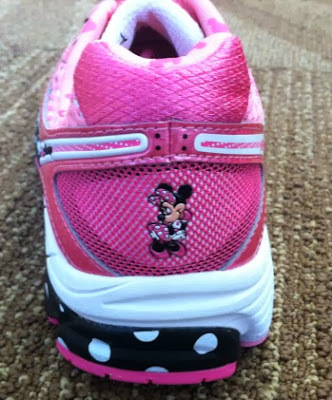 For detailed information on how you can purchase shoes at next week’s expo, visit www.rundisney.com. 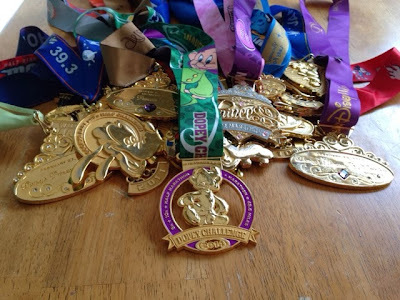 On behalf of everyone at runDisney, I want to wish you a happy New Year! We invite you to follow us on runDisney Facebook, Twitter @runDisney and on runDisney Instagram for exciting news throughout the year." 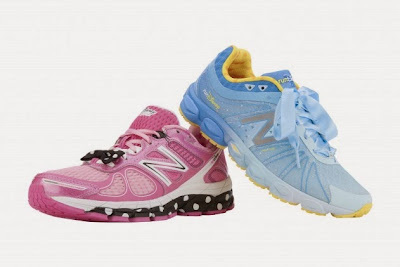 "New Balance has designed two new runDisney running shoes for 2014: One is based on its updated 860v4 stability shoe ($125; with a Sorcerer Mickey theme for men and a pink polka-dot Minnie Mouse theme for women); the other is an adaptation of its revised 890v4 neutral cushioning shoe ($120; with an orange and blue Goofy theme for men, and a blue and white Cinderella motif for women). Race kits with footbeds highlighting each of the seven RunDisney races, collectible lace charms and a special sticker will be sold separately. The 860v4 shoe will be available in kids’ sizes ($72) with a Minnie/Mickey theme. 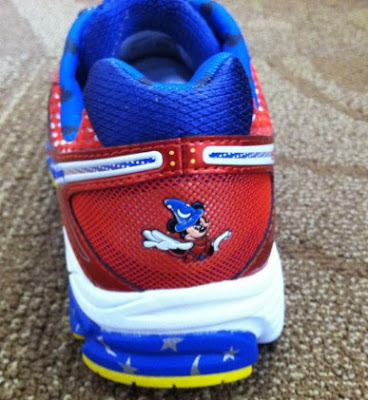 The new shoes will debut at the Walt Disney World Marathon Weekend expo in Orlando, Fla., on Jan. 8–12 and will only be available at runDisney events." 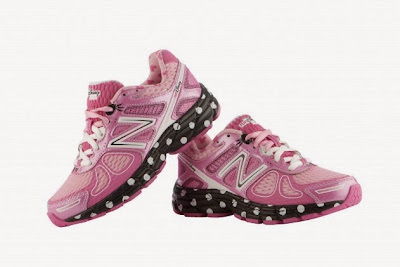 Sorcerer Mickey and Minnie Mouse New Balance 860v4 shoes! Notice the stars and moons on the soles! Side view of the New Balance 860v4 Minnie Mouse shoes! 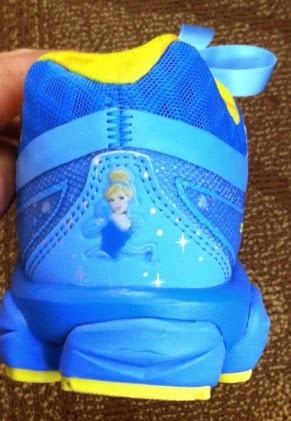 Cinderella themed New Balance 890v4 shoes! The side view with lots of sparkles! 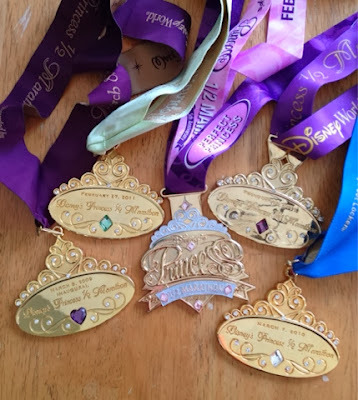 I'm pretty sure that the Cinderella shoes will match these gorgeous medals...don't ya think??? I think runDisney and New Balance will be sending lots of Princesses to the Finish line in these magical shoes during the Princess Half Marathon this year... I know I am hoping that I will have a pair on my feet! **Will you be buying any of these new shoes? ?